Comparisons to NBA superstar Michael Jordan (1963–) became common, and some sportswriters began calling James "The Chosen One," indicating the hope that the rookie phenomenon would revive interest in the NBA that had declined since Jordan's retirement. 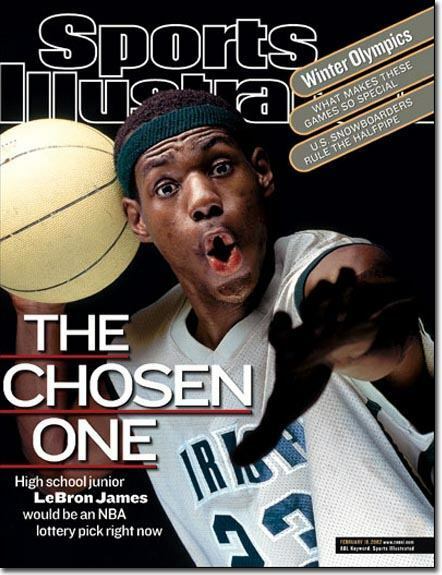 LeBron James, by age eighteen, knew a thing or two about dealing with pressure. James's ability to cope with that pressure has proven to be a critical factor in his success. Sportswriters and his coaches agreed that James has shown uncommon maturity for a player his age, handling his newfound fame and the extraordinary expectations of others with grace.